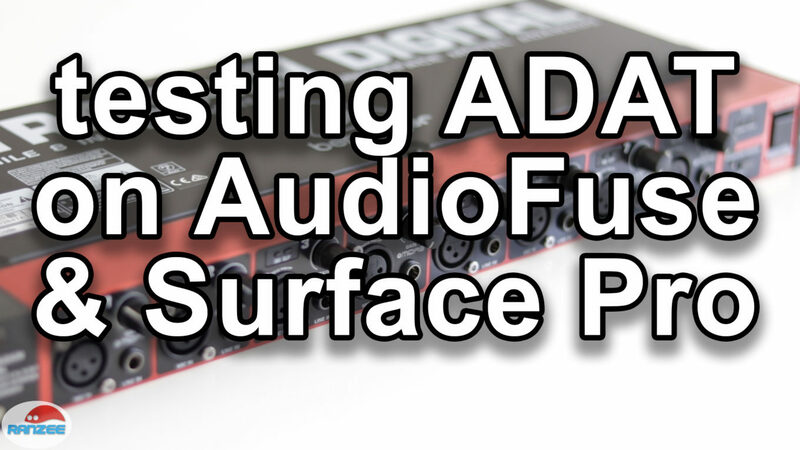 Checking out connectivity with Arturia AudioFuse S/PDIF to Behringer ADA8200 ADAT module, running it through Microsoft Surface Pro and using Ableton Live to test and record. I’m using a Teenage Engineering OP-1 to generate the sound. Connections – Sample Rates 44100 48000 – Setup and configuration. Setting up the AudioFuse in Ableton Live and mapping the inputs to tracks. Testing out the sampling and recording. Listening to the Midas pre-amps. Includes a little jam session at the end.